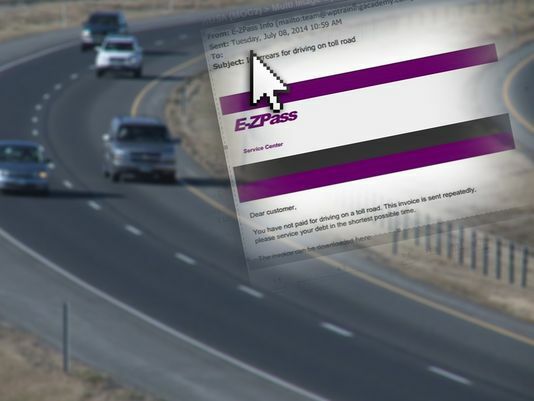 Phishing Scam Alert: There is a phishing email* being sent to drivers across the nation claiming they owe money for unpaid E-ZPass tolls. This is not an email from The Toll Roads, the Transportation Corridor Agencies, E-ZPass or E-ZPass tolling agencies. E-ZPass is used to collect tolls electronically on the East Coast; FasTrak is used to collect tolls electronically on the West Coast. Please do not open or respond to the email if you receive it. To see an example of the email, please click here. *Phishing emails, websites and phone calls are designed to steal money. Cybercriminals can do this by installing malicious software on your computer or stealing personal information off of your computer. To report a phishing email, forward it to: phishing-report@us-cert.gov.